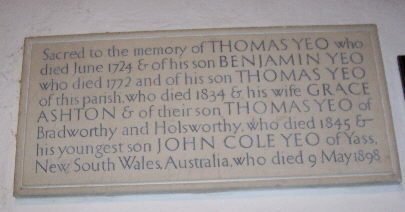 Martyn is researching the descendants in England, Australia, Canada and New Zealand of his great x5 grandparents Thomas Yeo of Kilkhampton and Bradworthy (1670–1724) and Elizabeth Gist (1681–1758). He welcomes contact with anyone interested in any part of this line. Martyn is also studying the direct line back from Thomas. 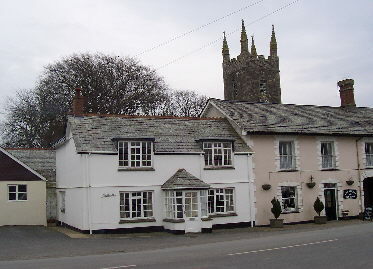 Last Saturday, 21st February, 2004, I visited Bradworthy for the first time and found the whole experience awe-inspiring. 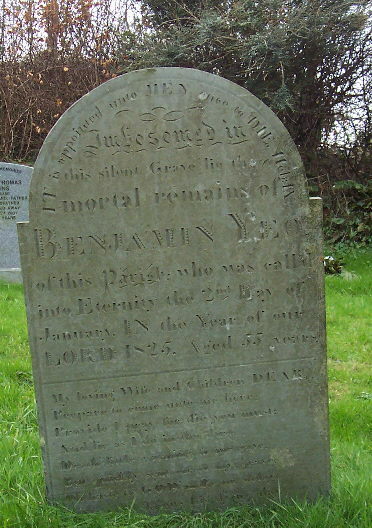 The Church Yard was full of very old graves relating to many of the Yeo and Westaway families. My records on the Yeo family's Bradworthy roots go back to 1399 when a Robert Yeo held Atworthy, in Bradworthy. Whilst there I bought a beautiful book on Bradworthy in the Twentieth Century written by Cecil Collacott, Tom and AIan Cann, Angela Yeo & Phil Mayhall. 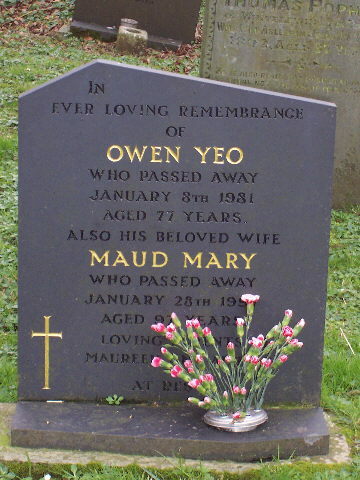 Included in it were many photographs of Maureen Yeo, daughter of Owen & Maud (photograph on the left), who of course is a direct descendant of Benjamin Yeo & Mary Wade. Sadly Maureen died in 2001, so this is a trubute to her as well.